A dead Christmas tree seedling at Smolak Farms in North Andover. Trout and other freshwater fish are dying in rivers and streams run low. More bears are foraging in neighborhoods, with berry supplies down. 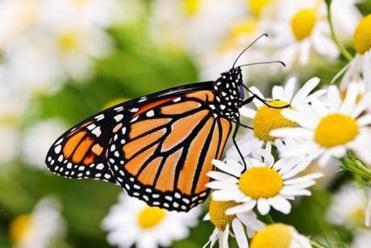 Butterflies are a rarer sight, as the nectar they need dries up. And on Boston Common — storybook preserve of Mrs. Mallard and her brood — the severe lack of rain has made way for an outbreak of avian botulism, deadly to ducks. With the state locked in its worst drought in more than a decade, the environmental consequences are mounting, specialists say, from widespread water shortages to major disruptions of wildlife habitats. So far this year, the Boston area has received about 8 inches less rainfall than usual, according to the US Drought Monitor, a partnership between the federal government and the University of Nebraska. 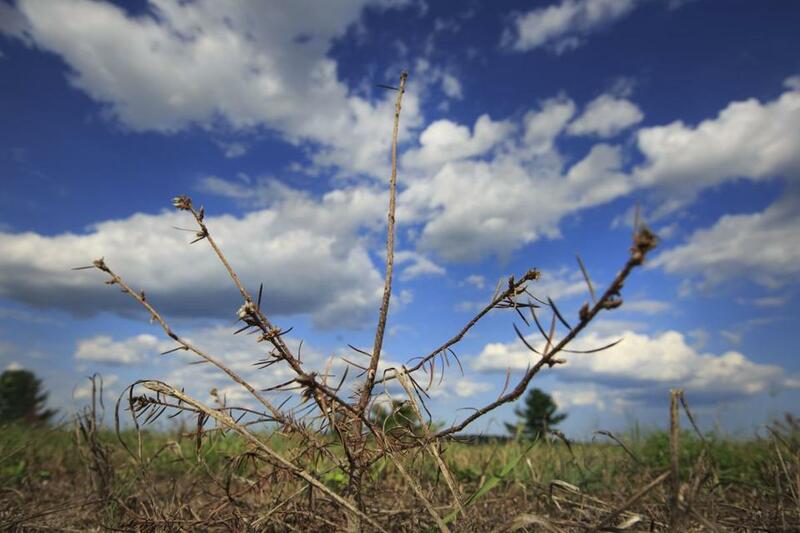 Much of the state is experiencing a “severe drought,” while areas north of Boston are suffering from “extreme drought,” the most severe designation in Massachusetts since the group began mapping drought conditions in 1999. The state’s drought plan is inadequate and slow, and it will only be more so as climate change makes summers more severe. As of this week, nearly 170 public water systems across the state had some water restrictions in place, more than 40 percent of them mandatory, said Joe Ferson, a spokesman for the state’s Department of Environmental Protection. In a typical summer, between 90 and 100 will have restrictions. The shortage is turning suburban lawns brown, but the greater worry is the havoc it is causing to ecosystems throughout the region, wildlife specialists say. Richard Primack, a biology professor at Boston University, sees the direct impact of the drought on his garden. Squirrels and chipmunks have been plundering his vegetables like never before, and bees, wasps, and hummingbirds are frequent visitors, too. “There’s nothing else to eat in the woods,” he said. When Primack walks in the woods, he’s surprised at how few mosquitoes and deer flies he encounters. There also appear to be fewer deer ticks, a telling consequence of the prolonged dry spell. As rivers and streams have receded, the remains of brook and rainbow trout are an increasingly common sight, their carcasses floating in small pools or scattered on dry riverbeds. The damage could set the fishery back several years, Richards said. Laura Conlee, the agency’s assistant director of wildlife, said her staff has received a growing number of reports of black bears hunting for food in garbage cans and dumpsters, and blamed the dearth of berries for the bears’ more frequent forays into residential areas. The drought has accelerated the spread of avian botulism, a lethal disease that thrives in dry conditions. It has also kept Eastern spadefoot toads from breeding and spurred large numbers of painted turtles to venture across dangerous territory to find a suitable habitat, said Bryan Windmiller, a herpetologist in Concord. 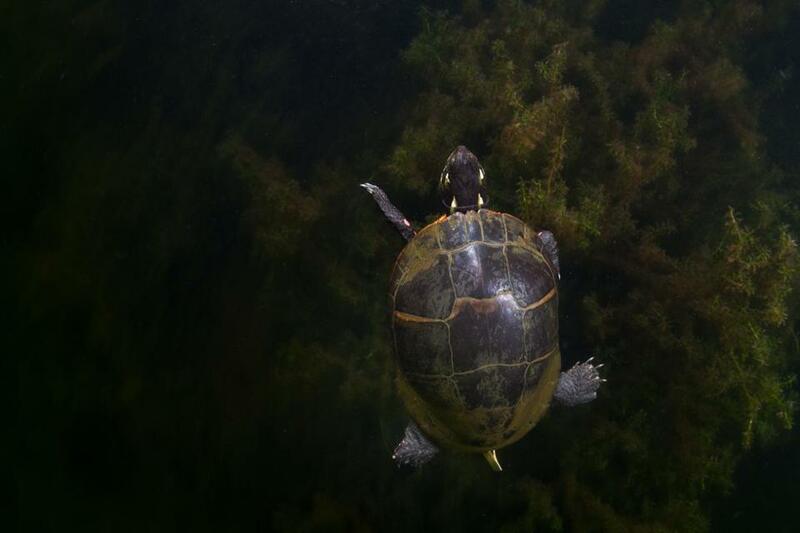 In the Concord area, many of the vernal pools and ponds have dried up, sparking an exodus of turtles across roads in search of water, making them easy prey for other animals and vulnerable to traffic, he said. “There was a very heavy road kill of this type in Concord when Goose Pond, a normally permanent shallow pond, dried completely,” he said. Joseph Elkinton, a professor of entomology at the University of Massachusetts Amherst, attributed this year’s massive outbreak of gypsy moths to the lack of rainfall, which he said could make next year’s population even larger. While many trees are in distress from the dry conditions, with their leaves falling off or prematurely turning brown, gypsy moths have devoured the leaves of oaks, birch, and maples across the state, stripping bare more than 100,000 acres from Cape Cod to the Quabbin Reservoir. The US Drought Monitor also found that nearly three-quarters of all pastures in Massachusetts are in “very poor to poor” shape, with similarly grim conditions across the rest of New England. That has made for parched soil and damaged crops across the region. The state’s cranberry haul is expected to drop by about 5 percent from last year — the best year on record — but it should remain a healthy crop. More concerning is the weather’s impact on corn, which is used as feed for much of the state’s livestock, as well as greens and squashes, such as pumpkins. 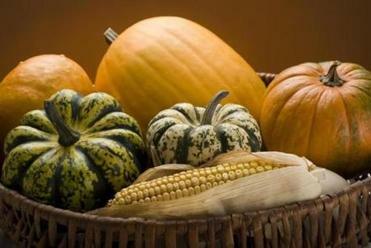 Pumpkins, in particular, require a significant amount of water to grow. “It may be that folks this Halloween have to get out a little earlier to secure their jack-o’-lanterns,” said John Lebeaux, commissioner of the Department of Agricultural Resources.